It is 1845, and Hannah Gardner Price has lived all twenty-four years of her life according to the principles of the Nantucket Quaker community in which she was raised, where simplicity and restraint are valued above all, and a woman's path is expected to lead to marriage and motherhood. But up on the rooftop each night, Hannah pursues a very different-and elusive-goal: discovering a comet and thereby winning a gold medal awarded by the King of Denmark, something unheard of for a woman. And then she meets Isaac Martin, a young, dark-skinned whaler from the Azores who, like herself, has ambitions beyond his expected station in life. Drawn to his intellectual curiosity and honest manner, Hannah agrees to take Isaac on as a student. But when their shared interest in the stars develops into something deeper, Hannah's standing in the community begins to unravel, challenging her most fundamental beliefs about work and love, and ultimately changing the course of her life forever. 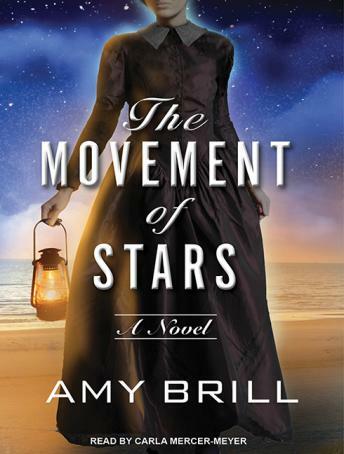 Inspired by the work of Maria Mitchell, the first professional female astronomer in America, The Movement of Stars is a richly drawn portrait of desire and ambition in the face of adversity.